Our global client list is a reflection of our effective, lasting products and our commitment to great customer service. We are the pioneers of Unified Fuel Management: we provide a fully integrated approach from fuel management hardware and software through to asset management, project consulting and training. Unified Fuel Management delivers productivity, reconciliation and cost reductions like no competing solution. We have 38 years’ experience transforming fuel and hydrocarbon management for clients in the mining, rail, port and fleet industries. Banlaw design, engineer, service and manufacture our products on site in Australia. We deliver projects, services and support globally, via the regional Banlaw operations, and our talented distributors. Banlaw is committed to continuous improvement. Developing innovative refuelling and fluid management solutions and exceeding customer expectations are our primary goals. We are devoted to our “Zero Harm” performance standards, ensuring the design, manufacture, assembly and installation of our products and services are always inclusive and sensitive to the Environment, Health and Safety of our employees, customers, and the general public both inside and outside our facilities. Banlaw has never had a serious injury or accident during project or service work conducted in over 30 countries. Our objective of achieving industry-leading efficiency rates is achieved through our continuous improvement process and innovation culture. 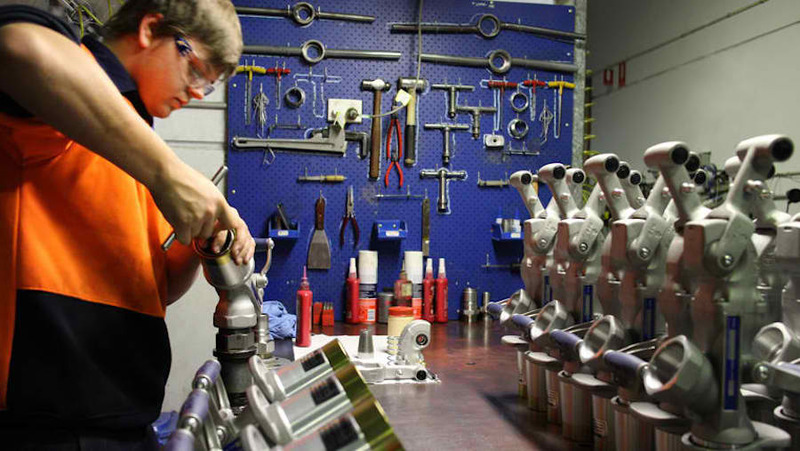 Our world class research and development, manufacturing and assembly facilities in New South Wales in Australia are externally quality assured and certified by SAI Global. The scope of our certification includes: The design, development, manufacture, repair, service and support of dry-break refuelling systems, lubrication and evacuation systems, tank overfill protection systems and electronic fuel monitoring systems for on road and off road (including rail) fuel powered equipment. Certificates and policy documents are available from our Downloads Page.